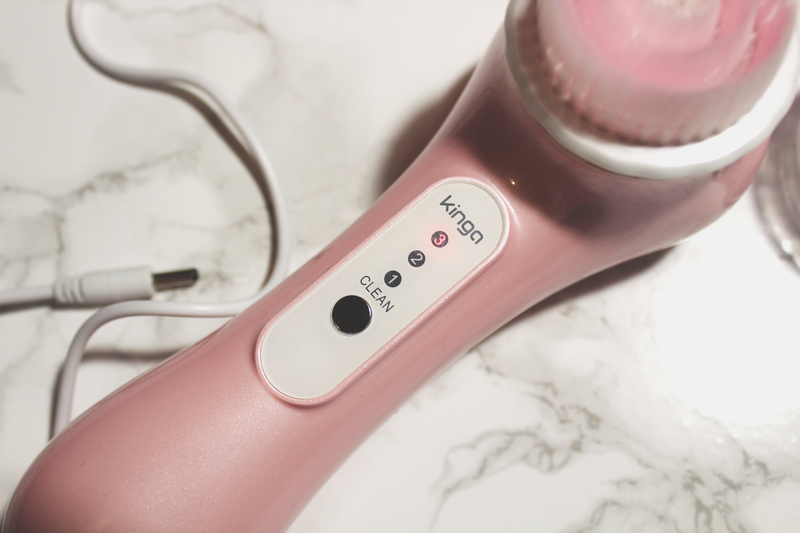 Kinga’s KD-3033C Sonic Wave Facial Brush is a must have as well as the ultimate skin cleansing tool! Prior to purchasing the facial brush, I saw nothing but a craze, something that would eventually go away, a short-lived hype. Enticed by curiosity, I decided to explore the market of skin cleansing tools (via Amazon). The most popular options were battery operated and included a great variety of interchangeable rotating heads. The reviews varied but most were positive. I personally prefer rechargeable tools so I decided to narrow my search. The rechargeable options appeared to cost three times as much. I also quickly discovered such an option was quite rare, as many prefer battery-operated tools. The low to high filtering option is heaven sent in such situations. I believe Kinga’s KD-3033C Sonic Wave Facial Brush was second on the list. It also had no reviews but it was rechargeable and £9.99. Such a low price screams dodgy or of a poor quality but in this case, it was plausible as the device only had one rotating brush head (as well as a replacement). The average facial brush includes five or more varying heads. 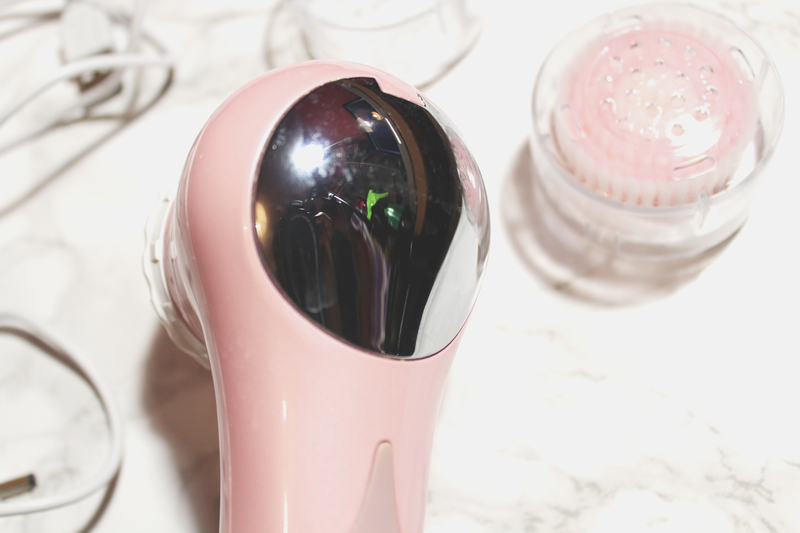 Although I remained rather sceptical about the hype of the skin cleansing tool, this was the perfect option as it was simple, something I could easily test. Purchased and used religiously, I am unbelievably impressed! I should have jumped on the bandwagon sooner. Not too big or too small, Kinga’s KD-3033C Sonic Wave Facial Brush is average in size. It is pink and extremely durable. I have dropped it quite a few times but I have seen/felt no superficial or internal damage. 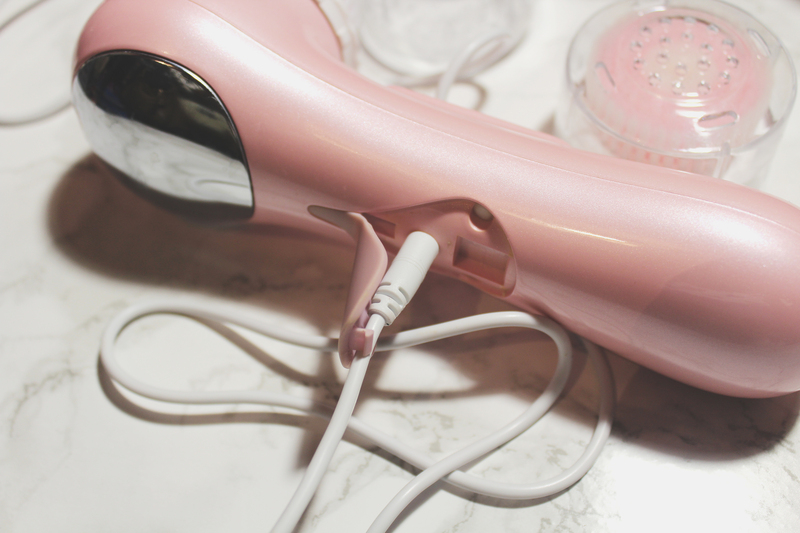 Kinga’s KD-3033C Sonic Wave Facial Brush is also waterproof. I have used it under hot as well as cold water. You have the option of three vibration/rotation speeds, 1 is the slowest and 3 is the fastest. The brush is incredibly soft; it feels like a very expensive make up brush. Despite using it everyday, for weeks, it still looks new and the texture remains the same. I have been using it daily, for almost three months and I have only recharged it twice. Recharging is quite fast, I left it for two hours but within one, it was pretty much ready to go. 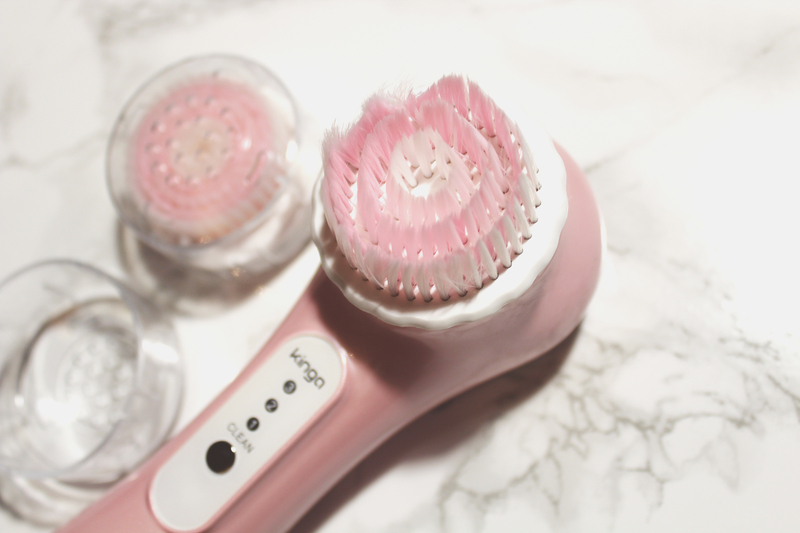 Kinga’s KD-3033C Sonic Wave Facial Brush includes two rotating brush head attachments (including a hard clear plastic cover for each), a USB cable for recharging and a velvet storage pouch. I am not a fan of the pouch as it leaves black specks everywhere. Unfortunately, this facial brush is not without flaw. The con is rather ironic as I now wish the facial brush came with a variety of head attachments. Yes, I purchased it because it didn’t but now I am sold, so I desire so much more! My experience with this skin cleansing tool has been eye opening. My skin appears much brighter and smoother as facial brushes deeply cleanse, promoting the better absorption of products. I can only recommend Kinga’s KD-3033C Sonic Wave Facial Brush as it is amazing as well as affordable! If I’m going to sing like someone else, then I don’t need to sing at all.